We are open to all our guests for the day! 3519 Miskolc, Miskolctapolcai út 35.
spas, our city is famous for its hospitality and guest house. 1. The service name: Szinva-Play Kft. 2. 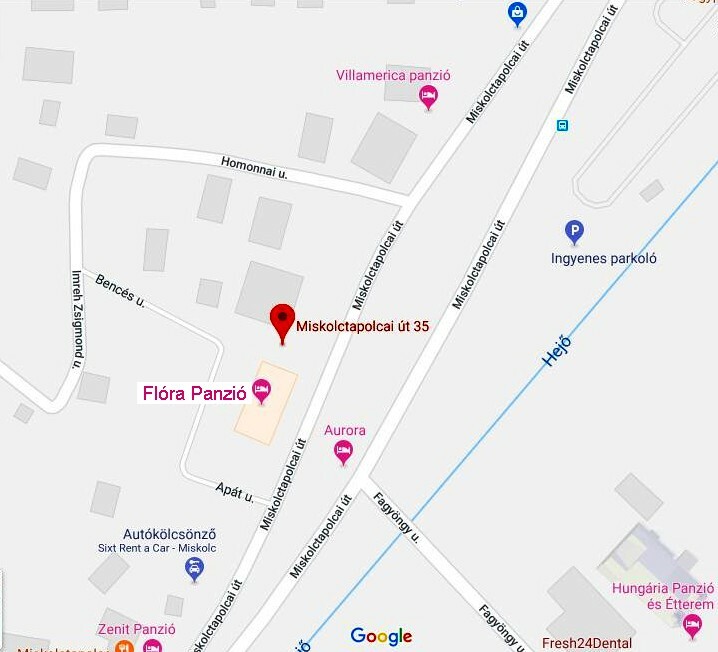 The service principal place of business: 3519 Miskolc, Miskolctapolcai út 35. 8. The hosting provider Data: Web-Server Kft. 4001 Debrecen, Pf. 526. The SZINVA-PLAY Ltd. (hereinafter: Data Manager). Handles online sales activities in relation to the registered users' personal data only for the purpose of execution of orders, and in order to fulfill obligations related to settlement (billing). Just to use any personal data which is essential for the realization of the objective of data management and appropriate to achieving the objective. The personal information will be kept only to the extent and duration necessary to achieve that purpose. The Data Manager protect the personal data of registered users all expected to be treated. The legal basis of data management: senior official in 2011. the law of self-determination right of freedom of information § 5, paragraph (1) and a) The contribution of the question. Contributing to data management: At the registration users specifically consent to it voluntarily provided personal information management. The information is intended: to fulfill your orders and billing. - The SZINVA-PLAY Ltd. et al. Duration of data management: the personal data stored electronically will be deleted within 30 days after completion of the order. - Erasure or blocking of personal data. If you have previously sent an order, the order will be sent at the time of the valid data are attached. Ordering information linked to personal data, their modification or deletion of the data controller in person, by phone or e-mail can initiate. The controller in the shortest time from the filing of the application, but not later than within 10 days, in a comprehensible form, the registered user's request to do so will give you the information in writing. If registered user request found to be legitimate, it shall immediately arrange for personal data corrected or deleted. If registered user is not satisfied with the response of the controller, the right to protection of personal data validate his claim before civil court, and the National Data Protection and Freedom of Information Authority (www.naih.hu/kapcsolat.html) occur.